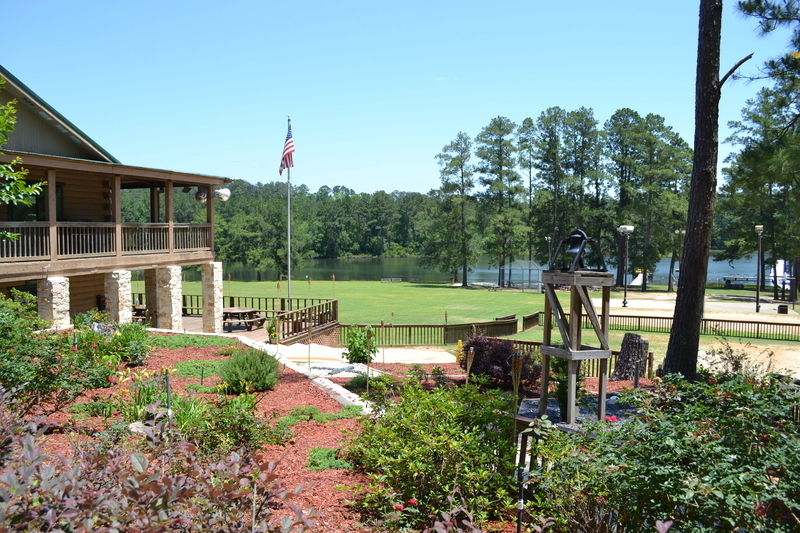 Lake Tomahawk Christian Retreat Center was founded in 1974 when the San Jacinto Baptist Association purchased the existing Lake Tomahawk Boys' Camp which had been in existence since the early 1960s. The beautiful 30 acre tract included a dining hall and kitchen, three bunk houses, a bath house, a recreation building, a barn, and a 12 acre lake. Since that time, Lake Tomahawk has grown to include over 104 acres, a climate controlled Tabernacle which will accommodate 400 guests for worship, a beautiful two-story dining hall with meeting room, eight dorms which will accommodate 360 guests and private housing to accommodate 40 more. We are proud to offer a new 175 seat Chapel. We have an outstanding summer waterfront with swimming, canoeing and paddleboats, a 35 foot Blob, 15 foot Iceburg, and AquaJump. The fishing is excellent! We also have a new high ropes course to meet your team building or thrill-seeking needs. Make plans now to take a look at Lake Tomahawk. You'll love the intimate setting and the convienent location - less than an hour and a half from Houston. Our friendly staff and great food make us a retreat center that groups come back to again and again. Give us the opportunity to provide a place for your group to worship, have fun, and experience God. We would love for you to visit!